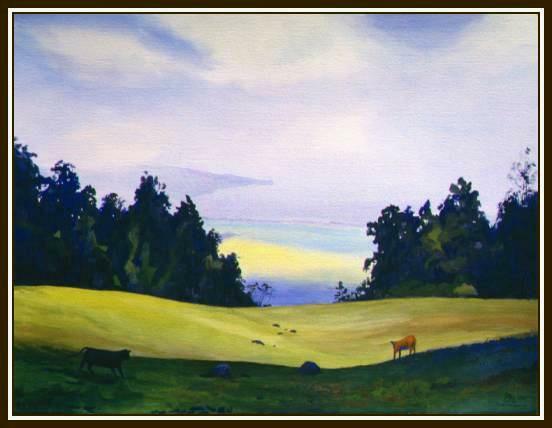 I used opaque pigments to paint the cows over the finished landscape, because the cows were not there when I started the painting. It's a cheap trick, I depend on it sometimes because it works. Usually I would leave a white space where each object will go.